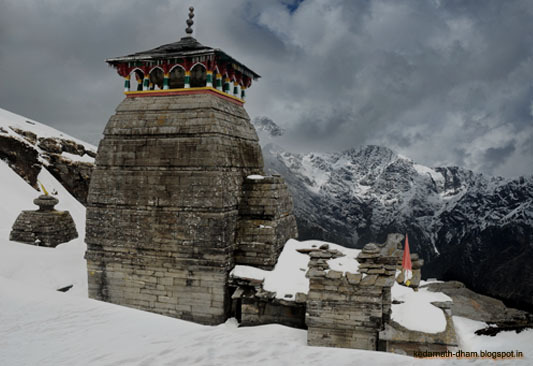 On the auspicious occasion of Baisakhi festival (also known as Vaisakhi, The Hindu Festival) on April 13, The Opening date of Tungnath temple has been decided with Chanting of Vedic hymns by group of priests in Omkareshwar temple complex, Ukhimath. Tungnath temple is third temple among PanchKedar temple of Lord Shiva situated in Garhwal region of Uttarakhand state in India. The Opening date of Tungnath temple in 2016 was 11th May. The Opening ceremony of Tungnath will starts between 05:36 – 07:30AM (Good Muhurta/शुभ मुहूर्त ) in the morning with Vedic chants around temple complex.